I always enjoy when I meet people who are passionate about hand-crafting products. 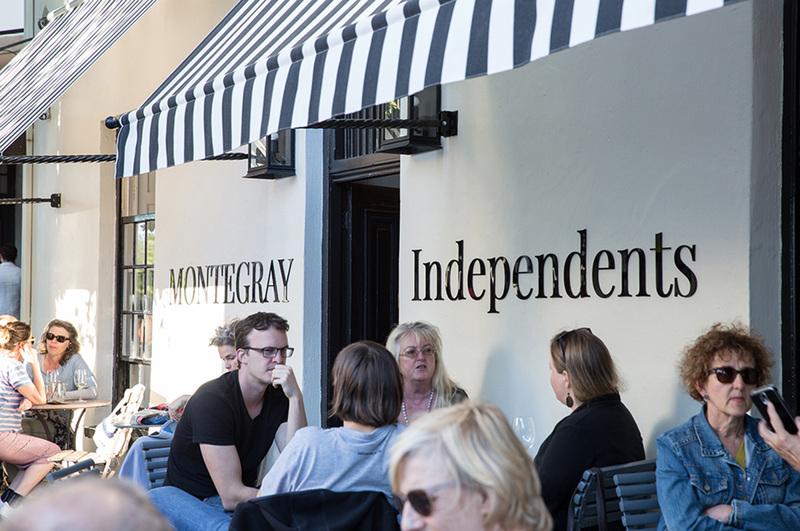 Montegray & Independents is a wine bar in Stellenbosch with exactly that in mind. 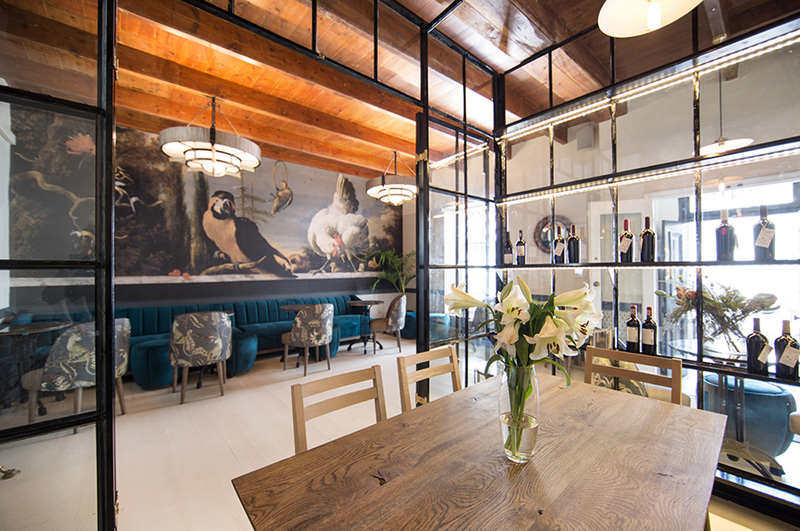 A place for passionate people crafting good wine, and for people that enjoy drinking good wine. 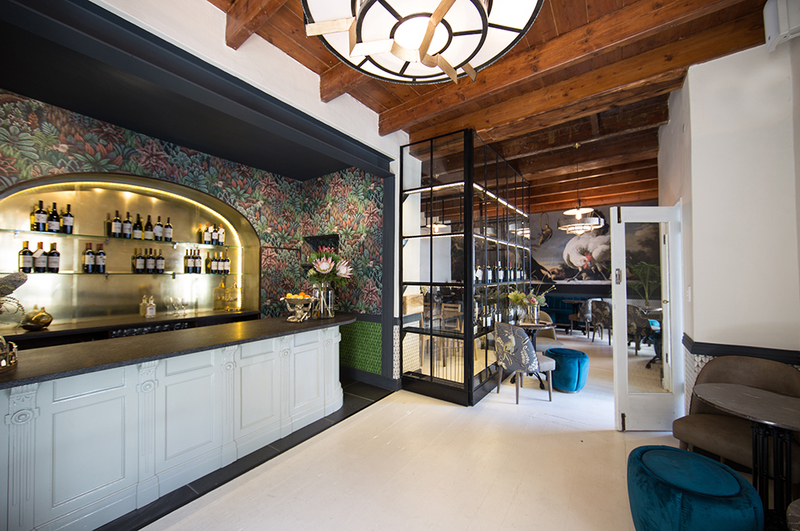 As you enter the space you are greeted by a wall of shelving filled with wine that is as much a storage and display area as it is a screen to a compact private meeting room we created behind it. 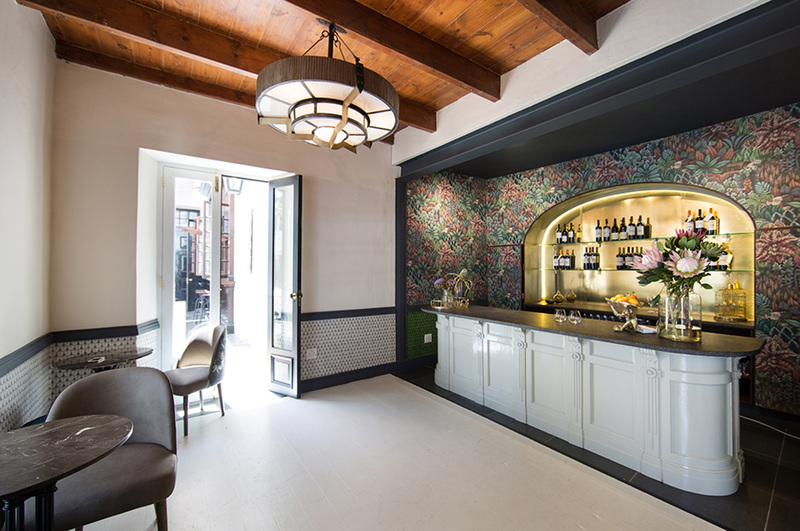 If you turn left you will see the bar area with its striking walls covered with wallpaper from local art and design company, Ardmore. 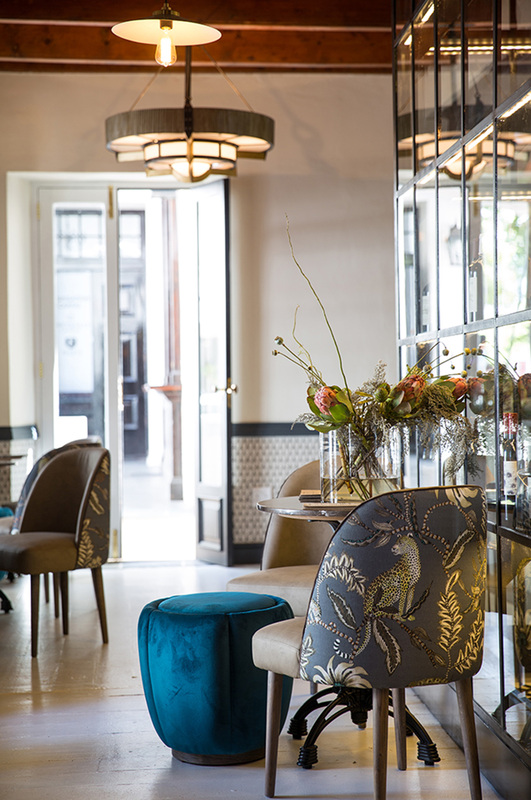 The back of bar glows amber in the evening and was inspired by the 1920’s with a shaped unit and brass cladding. 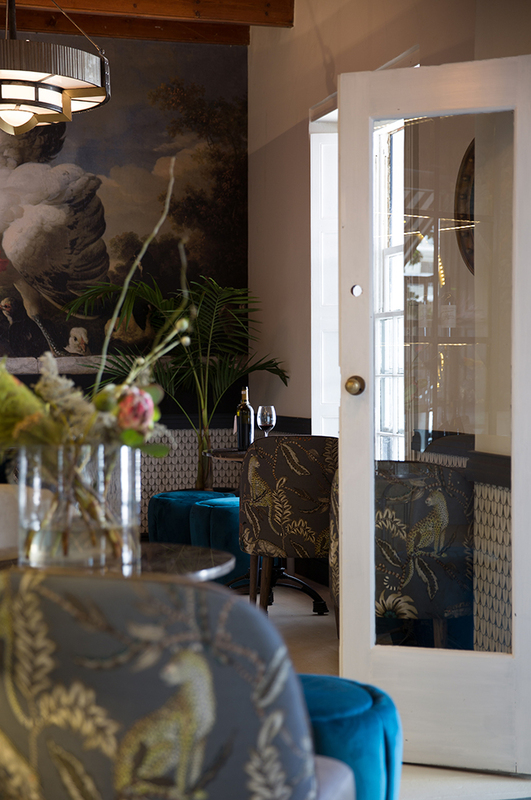 On the opposite side is a seating area with a long blue fluted sofa and some marble tables we manufactured. 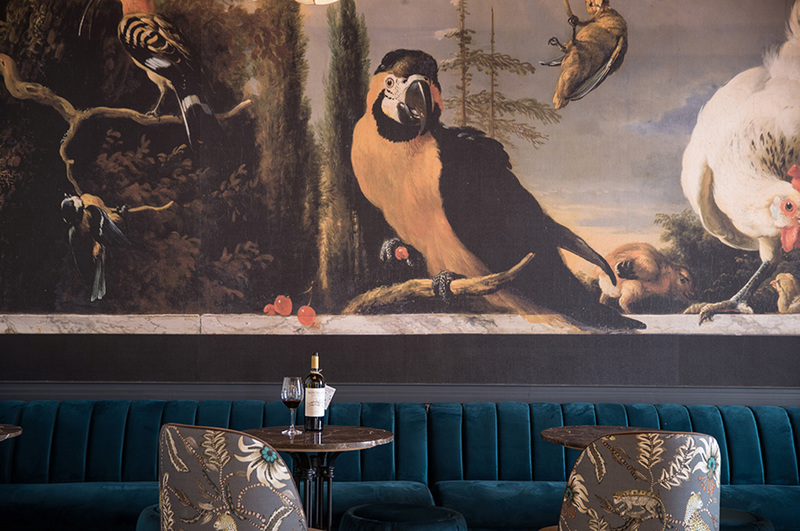 The most powerful feature of this space is an artwork we sourced from a museum in Holland and that was blown up as a mural onto the wall behind the sofa. Lighting is and has always been a big part of what we do. 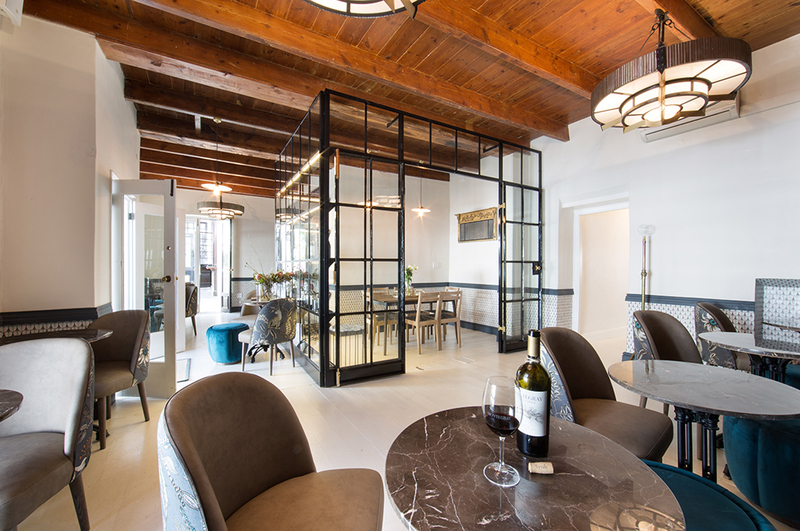 For this project we designed large circular pendants that hang overhead and provide a gentle glow of light in the evenings.